Proper roof ventilation is by far the most overlooked aspect of home maintenance by homeowners. Most homeowners fail to check if they have proper roof ventilation when considering repairs and other similar projects. One of the main reasons why it is overlooked is location. It is a hard to reach place. Access to roof is not always easy and same goes for the attic. Our experts go over proper roof ventilation in today’s post, and help homeowners better understand why it is so important. What Does a Proper Roof Ventilation System Do? 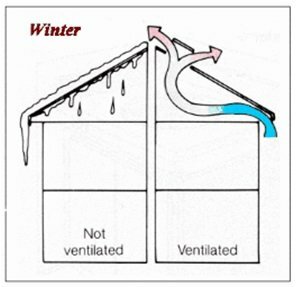 A proper roof ventilation system effectively stops moisture build-up in the winters on your roof, and lowers your temperature in the summers inside your home. It plays a key role in making any home’s cooling and heating systems more efficient. This not only increases the life of your roof, but also cuts down cost making it a friendly affair for your wallet. It is also interesting to note that most homeowners think that once a roof is built or repaired, it is sufficiently ventilated. More importance is given to insulation than proper ventilation of roof. While insulation is extremely important, a proper roof ventilation is an important part of the equation as well. Signs of Bad Ventilation in Your Home? If you feel there is excessive heat in the attic area during summers. 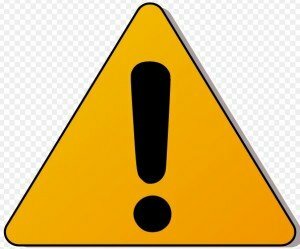 If you spot mold or any kind of natural growth under your roof and attic area. These is usually due to dampness cause by lack of ventilation. If you see frosting on sheathing, rafters or other items in the attic. This can indicate a lack of air ventilation. If you spot water droplets from edge of nails. While this can also point to a leaking roof, this can also indicate a lack of proper roof ventilation. Durability: A properly ventilated roof lasts longer than a non-ventilated roof. It helps stop build-up of ice and dams on the roof which can cause damage to the roof and shingles. A big build up of ice is also bad for the entire building. Airflow: A proper roof ventilation provides additional air-flow. This is beneficial both in summers and in winters. In summers it circulates the air keeping the temperature down. In winters additional air flow means dampness will not set in the building materials. Added air flow also means less damage to insulation in attic area. Moisture lock: As explained above, proper roof ventilation also helps in protection from moisture. Moisture is the biggest enemy when it comes to roofing. It causes the building material to rot, consequently increasing repair costs. A well ventilated roof makes sure that air flow doesn’t allow moisture in the materials. 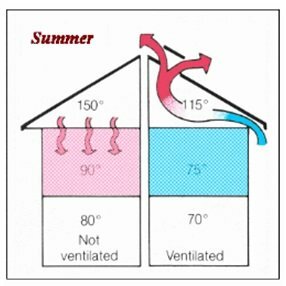 A proper roof ventilation system also makes sure air is circulating adequately in both winters and summers. Don’t Have Proper Roof Ventilation? Call Us! Our experts strongly advise to check your roof for proper ventilation. If you think it needs work done, contact roofing professionals. If you’re wondering, homeowners can easily add on a ventilation system to an existing roof. If you’re roof has started showing signs of damage and you feel you might need a roof replacement, now is a good time as any to call us. If you are not sure about your home’s roof ventilation, give us a call. We are roofing professionals with over 36 years of experience. We can help. We also do free roof, siding and gutter estimates. Give us a call today.